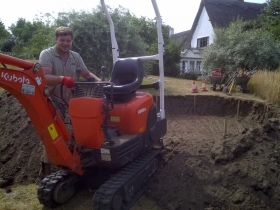 Due to the nature of work in rear gardens, we have many years experience and our own specialist equipment, to excavate soils through restricted access. Our equipment will pass through a standard garden gate to a minimum of 800mm width. If you are planning any landscape or building excavation work, we can take the hard work out of the process by providing trained operators with our equipment to do this for you. 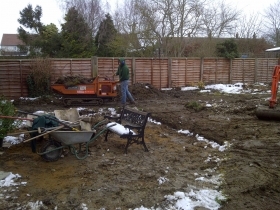 Please enquire for a site visit and rates. 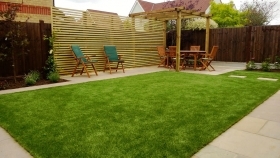 Keeping a lawn in good order can be a time consuming, expensive and sometimes disappointing process, particularly if you have children or pets using the space. 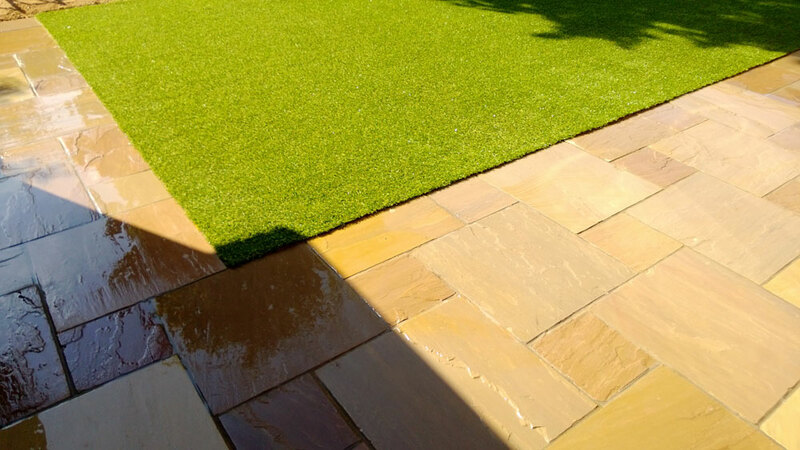 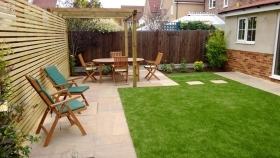 GRO Landscape has many years experience in providing all grades and types of artificial turf and the expertise in installing the products correctly and to a high standard. Please enquire for a site visit and product samples. Getting the garden pruned correctly each year, will enhance the growth and look of your garden and whereas we don’t do general garden maintenance, we consider the pruning of plants correctly after the garden has been landscaped, as an important part of the process. All prunings are removed to an approved green waste site, where they are processed and composted to be re-used as a soil improver in our landscape operations. 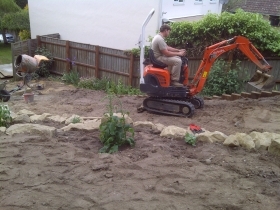 Please enquire with your requirements.